If running was easy, then everyone would do it. That is a catch phrase runners may say so that they feel stronger and more confident about doing what they love to do. The truth is that not everyone would do it even if it were easy. You have to truly want to do something first. However, if it were easy, then I probably wouldn’t do it. I don’t seem to like things that are easy. I thrive on challenges, as do most runners. I slogged through mud yesterday. 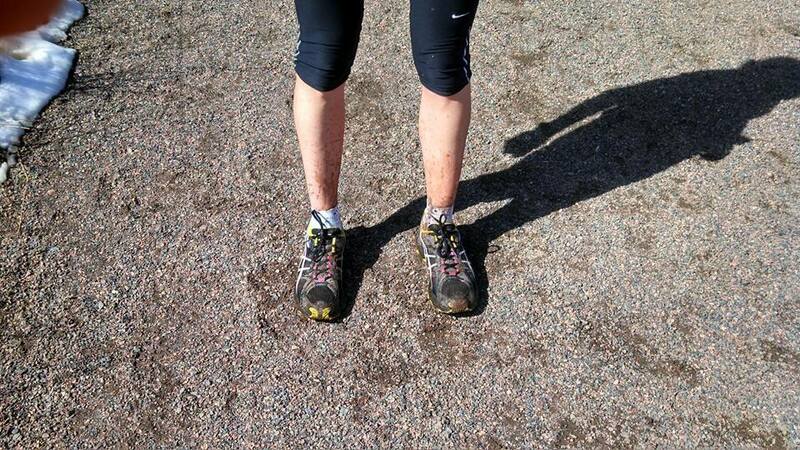 I collected about five pounds of mud on each food and attempted to run… in very slow motion. I didn’t turn around. Not sure why I didn’t just turn around at the start. I kept going and my feet got heavier. I started slipping and sliding. I even had to walk through a few sections of mud so I wouldn’t end up planting my face in the mud. There finally came a point when I was able to get off the trail and get on the road. Then I hated it even more. I hated running on the road with cars flying past me. I still felt like I was moving in slow motion. I wanted to be on the trail, on the mountain, but I was stuck on the stupid road because of the stupid mud. It’s okay, though. I will go for another run tomorrow and there might be knee-deep snow to plow through or more mud to slip and slide in. I have my moments of agony and despair, but most of the time it is all worth it. I get stronger with each new challenge and I push forward to reap the rewards. Sometimes it is fun (and maybe even easy) and sometimes it is just pure torture. Tonight I heard an amazing story of a runner who forged a new path (and I mean that literally because no other runner had been on that trail in quite awhile!) and kept going even when the going got tough. She took the journey that even I would be fearful of and became mentally stronger because of what she had accomplished. I am inspired to overcome my minor challenges so that I can face greater challenges. I don’t know why runners seem to radiate so much inspiration. It was pretty easy for me to come up with the name of my business: “Inspired Miles.” Every mile is an inspiration. Every runner is an inspiration. We just embrace it all and carry on. Our miles are filled with desperation, agony, defeat, joy, love, accomplishment and many more mixed emotions. It is going up and down and back up again. It’s not about the destination, it’s about the journey. A long, arduous journey that teaches us so many of life’s lessons. Each mile makes us stronger. Each mile humbles us. Each mile takes us to places we have never experienced before. 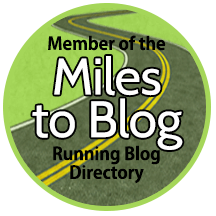 This entry was posted in Running Experiences and tagged challenges faced by runners, inspiration, inspired to run, joys of running, running, running in mud, running in snow, trail running.